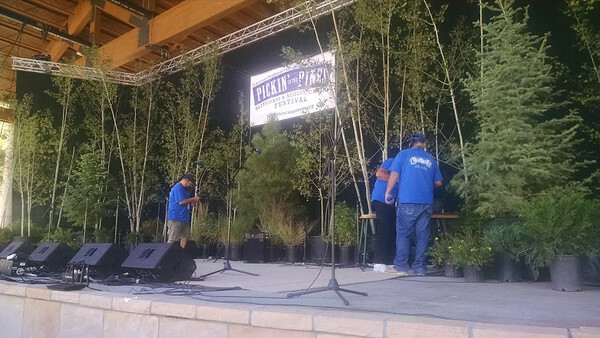 The Amphitheater stage at Ft. Tuthill was decorated with potted aspens, spruce, and pines, which were lighted at night behind the performers. A great backdrop. The guys in blue -- from Old Blue Sound -- were setting up sound equipment.